An autumn wedding is not everybody’s first choice for the time of year to get married, but it is absolutely one that can be very appealing. With a little creativity, you could always take advantage of the pleasures of celebrating your wedding amidst the falling leaves and the imminent coziness that the cooler evenings bring. Colours mark an autumn wedding theme. The shades found in nature itself during this season allow for stunning possibilities to bring the outside in to your wedding reception. Using rich and bold colours such as deep greens, gold, copper and creams, yellows, oranges and maroons can warm up any room. 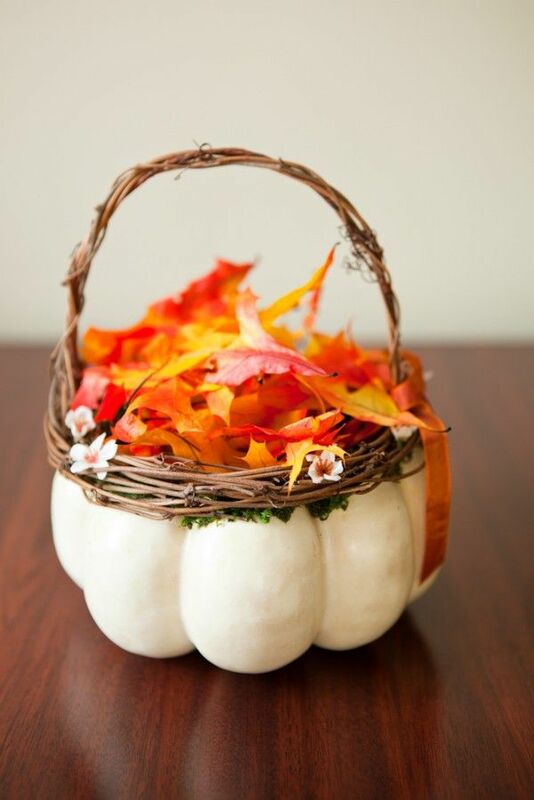 In fact, if you are to use an autumn wedding theme, you could take advantage of the natural setting the season projects. Such as a moderately arranged garden filled with fallen leaves with the spread of natural earth colours. Think about alternative ways to display your flowers and centrepieces. Eg pumpkins make brilliant flower holders. 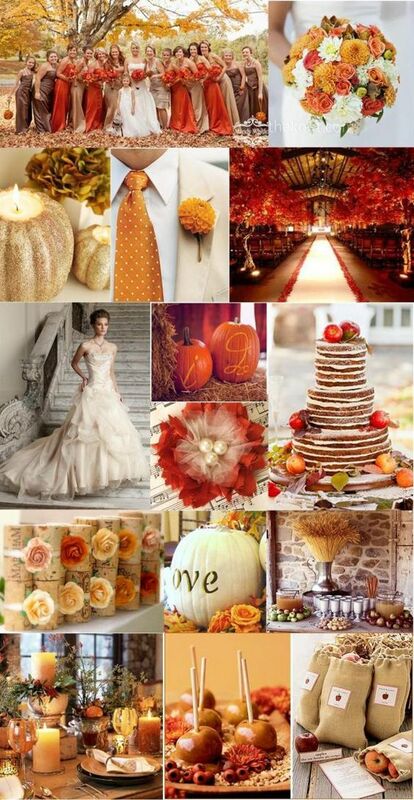 The oranges and browns of the flowers and leaves will immediately create the feel and atmosphere of an autumn wedding. 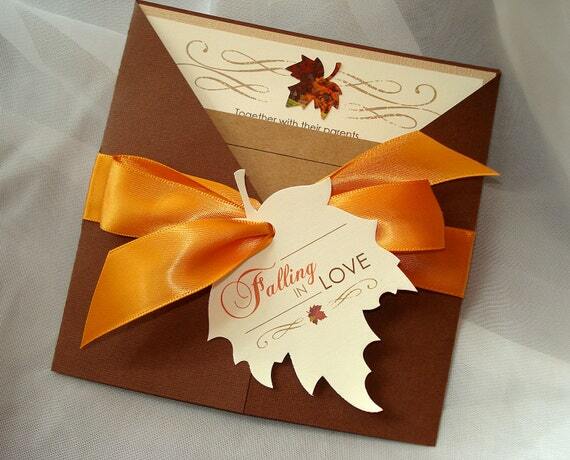 Not only would an autumn wedding invitation accentuate your entire concept, it could also help set the mood for your wedding. The theme starts with your invitations. Why not be a little less ordinary when your flower girl is walking down the aisle. Instead of making her drop petals of flowers, you could choose to use leaves for a change. A combination of choice leaves could add to the effect of the fallen leaves in the grounds around your wedding venue. Using natural items for your headwear during the autumn months leads to such versatility and individualism. 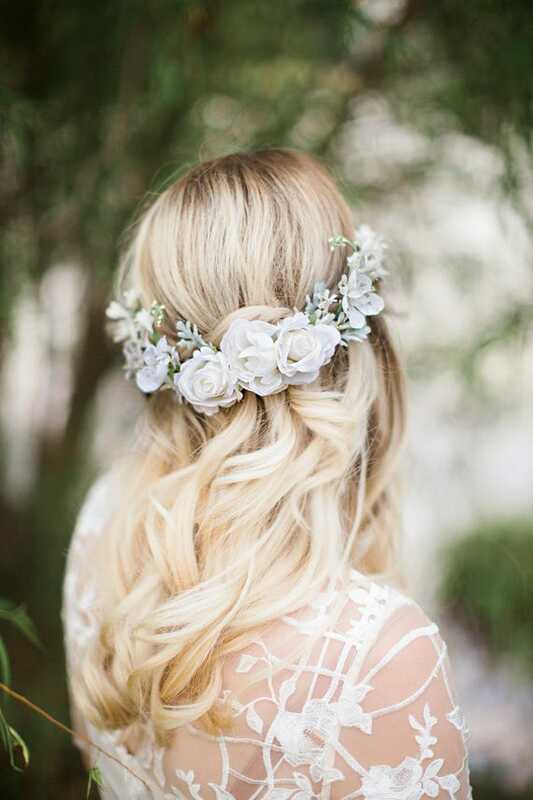 For example, your garland could be a mixture of leaves and flowers bonded around twigs and small branches. Choose one or choose many of the colours for your bridesmaids depending on whether you want the whole theme to match or to scatter a selection of the colours throughout your day. 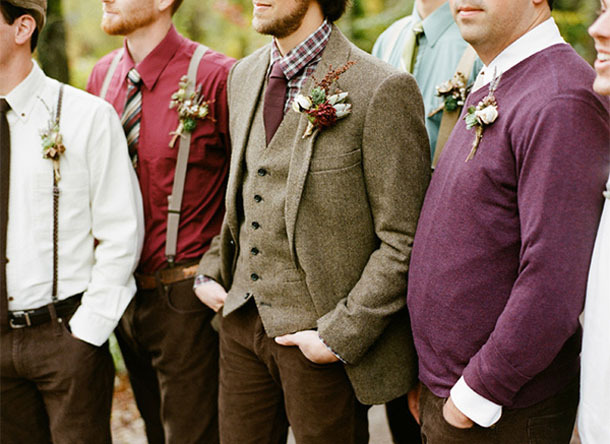 As for the males, you can always try something different without necessarily following the traditional wedding tuxedos. You adapt the fashion of the season and get something that could truly match your wedding theme. Are you planning an autumn wedding? If so let us know in the comments below.